Snow is good for your gardens… but flying snow and road salt accumulation in soil can cause major damage to plants. 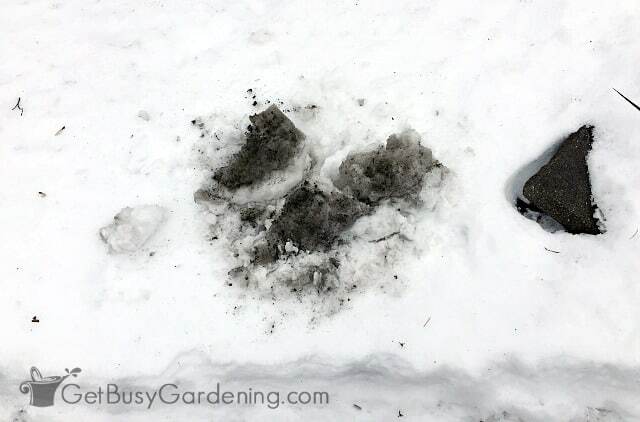 Don’t worry, because in this post I will show you how to recognize the effect of salt on plants, give you easy snow removal tips to prevent salt buildup in soil, and also show you how to avoid damaging your plants during snow removal. Most of us forget about our gardens as soon as we’re done with our fall chores, and don’t think about them again until spring (except for day dreaming). Who can blame us. 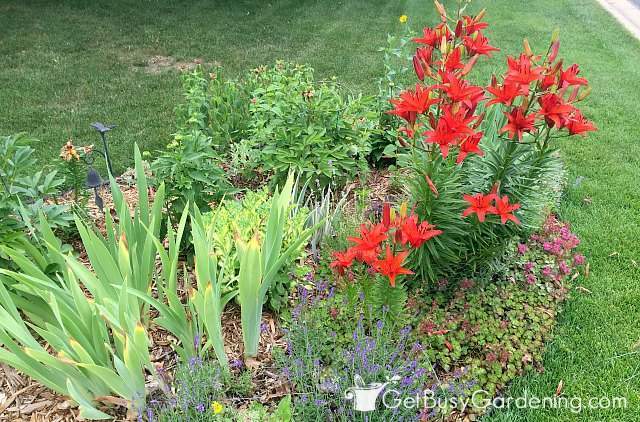 During the long, cold winter months when we have the daunting task of clearing several inches of snow in the middle of the freezing cold winter, the last thing on our minds are the plants hidden under all that snow. But forgetting about your gardens during snow removal can have serious consequences. This is such an important topic that many gardeners never think about, so I was super excited when Troy-Bilt reached out to me and asked me to try out their Vortex™ 3090 XP Snow Thrower. 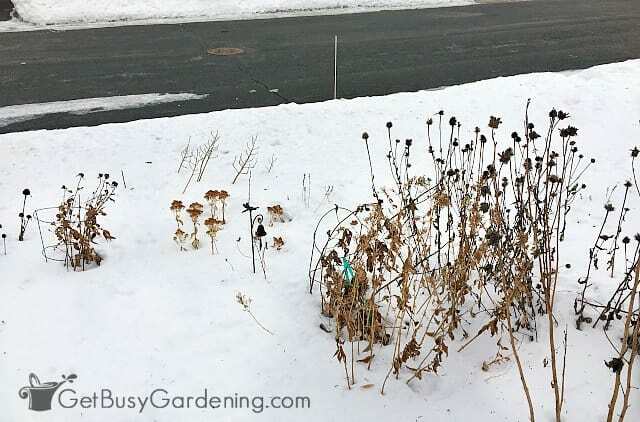 It was the perfect opportunity for me to talk about snow and salt damage to plants, and give you my best garden-safe snow removal tips! Is Snow Bad For My Garden? New gardeners often worry that snow is bad for their gardens, but a healthy layer of snow is actually good for your garden and plants. Snow acts as an insulator to protect plants from severe cold and dry winter winds. 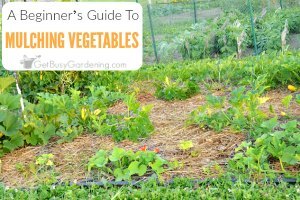 It also helps to add nutrients to the soil and hydrate our gardens as it melts in the spring. 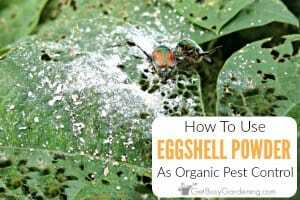 But when your garden is located near a road, driveway or sidewalk where road salt and deicing chemicals are often used, snow can end up being very bad for your garden. Take a minute to think about all of the road salt and deicing chemicals that are dumped onto our roads during the winter. No matter what we do, these will end up on our driveways and walkways… and ultimately in our yards and gardens if we’re not careful. And road salt in garden soil is very bad, especially for salt-sensitive plants. Why Is Road Salt Bad For Plants? Landscaping plants, including trees and shrubs, can have a sensitivity to salt and other deicing chemicals that are dumped or sprayed on top of them over the winter. These deicers are leached into the soil and absorbed by the plants. The salt pulls moisture from the roots and leaves of plants, and can cause them to suffer from dehydration. Salt stress in plants can also make them more prone to damage from severe winter cold. The damage isn’t always apparent right away either. Salt can build up in the soil over time, and end up killing plants after a few years. 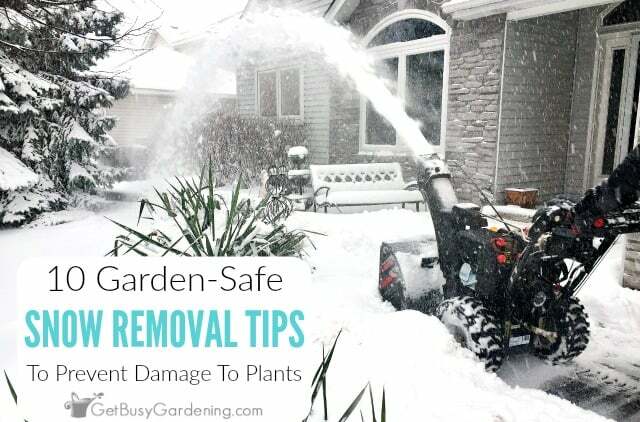 Snow and salt damage to plants can be frustrating, but there are several things you can do to avoid severe damage to your garden. Here are some garden-safe snow removal tips to help prevent snow and salt damage to your plants. 1. Focus your salt applications – Rather than broadly spreading deicers to prevent ice or treating areas that don’t need it, use them only when necessary to spot-treat icy areas. 2. Don’t pile snow on top of your garden – Even though snow is usually good for your garden, it’s not good to pile it on top of plants. 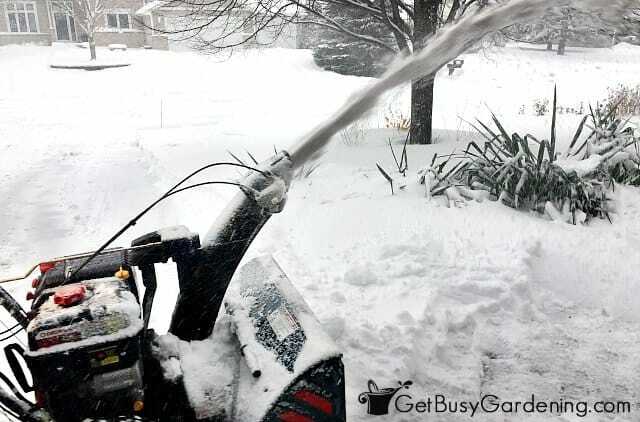 When using a snow blower, try to shoot the snow over the top of your garden areas and into the lawn rather than burying your garden plants in snow. 3. Be mindful when applying salt – When you do apply deicing salt onto your driveway or walkways, make sure you don’t accidentally sprinkle it into a garden area in the process. 4. Keep salt-laced snow out – Never dump the salt-laced snow into your gardens or on top of any of your plants. When snow blowing, take extra care to blow salt-laced snow over the lawn rather than spraying it over the top of landscaping plants. 5. Clear the snow before applying salt – Rather than sprinkling deicers over the top of the snow, clear the snow from the area first, then apply salt directly to icy patches if necessary. This will help to cut down on the amount of salt you’re using. 6. 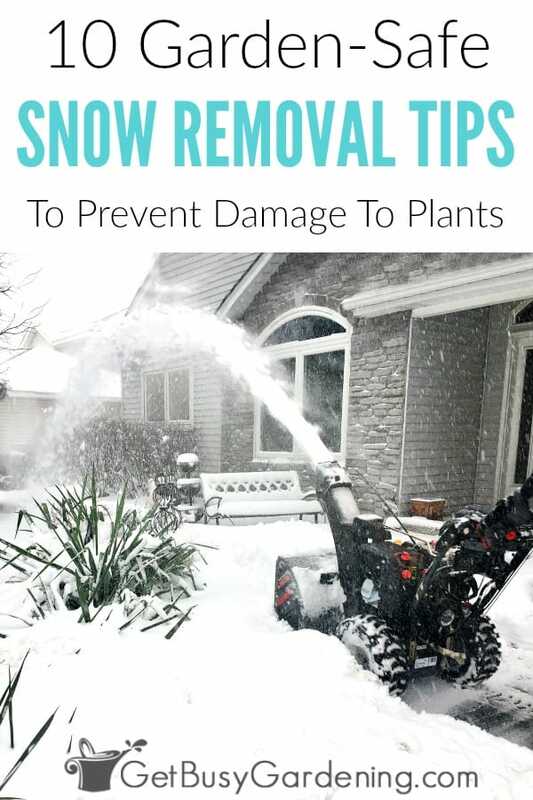 Protect plants from snow damage – When you’re using a snow blower, be sure to pay attention to where it’s pointing to avoid plant injury. Try not to hit any trees, bushes or garden areas with flying snow. Flying snow could break tree branches, and cause major damage to garden shrubs too. 7. Mix in some sand – Mix sand with your deicer to cut down on the amount of salt you’re using on your property, and to help with traction in icy areas. 8. 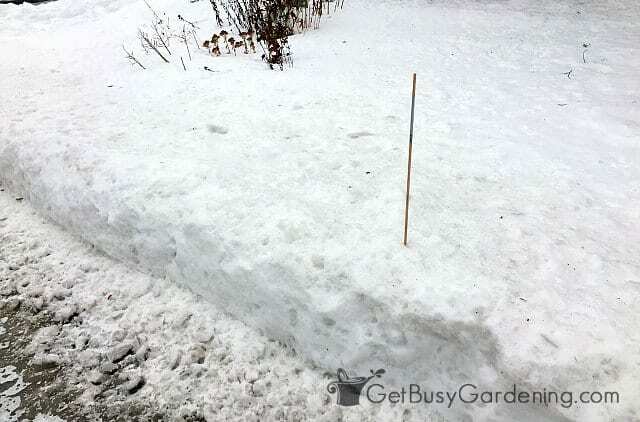 Mark the area with stakes – In the fall before the ground freezes, use stakes to mark the edges of driveways and streets to avoid damage to your landscaping from your snow blower and snow plows. This will also protect your snow blower from being damaged by accidentally hitting landscaping rocks or edging. 9. Be careful around a garden pond – Be especially careful if you have a garden pond near an area where you do snow removal. Even small amounts of deicing chemicals or salt can kill the fish and plants that are hibernating in there. I absolutely love the Troy-Bilt Vortex™ 3090 XP Snow Thrower, and it really makes snow blowing our driveway and sidewalk super easy! 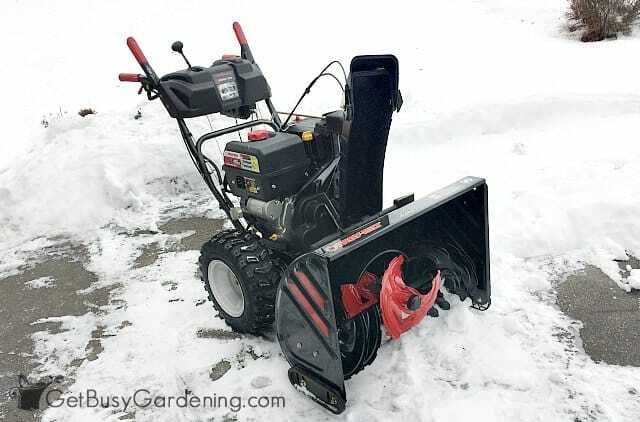 The first thing I noticed right away that it has tons of power to easily clear the heaviest snow, and it’s easy to control exactly where that snow will be thrown (like over the top of my gardens instead of into them!). The electric 4-way chute control makes it super easy to control exactly where the snow goes with only a finger. No more stopping and leaning over to manually move the chute! It’s effortless for me now. Power steering makes turning the snow blower effortless too. I used to have to wrestle with our old snow thrower to maneuver it, and now I can easily steer it. I hate to admit it, but I think I was excited about the heated hand grips the most before I started using this powerful machine! There’s nothing worse than freezing fingers when you have to get the driveway clear so you can get your car out. The electric starter makes it easy to start the snow blower with the push of a button, no more pulling the cord hoping it will eventually start. Now I just have to push a button. This powerful blower easily cuts through the heavy snow from the plows at the bottom of the driveway. 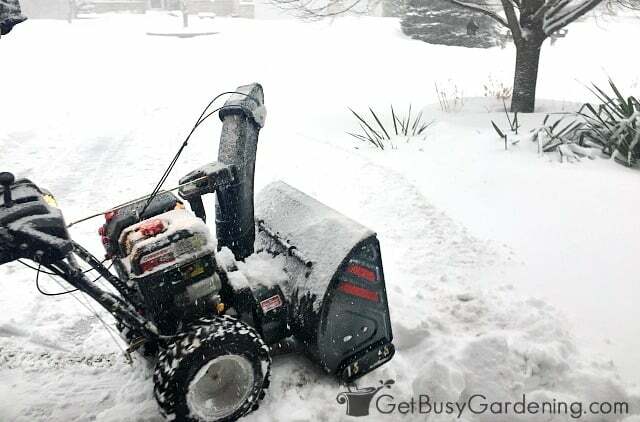 This is another task that I often had to leave for my husband because I wasn’t strong enough to fight with our old blower to get through that hard-packed snow. There’s also a headlight, which is a nice touch for those times when you need to clear snow in the dark. 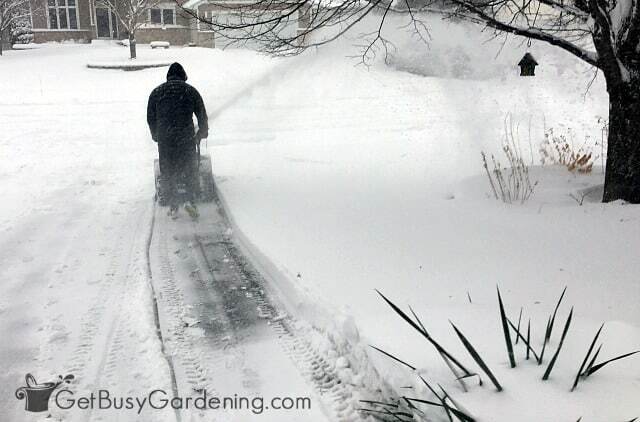 Before using the Troy-Bilt Vortex™ Snow Thrower, I never realized how easy the chore of snow blowing could be. The power steering and self-propelled multi-speed drive makes a huge difference for me! Not to mention the fact that this blower can clear snow 2-3 times faster than our old one. It really helps to speed things up, making the job of blowing snow much easier, and using way less effort (way, way, way less effort!). Click here to find out where to buy your own! 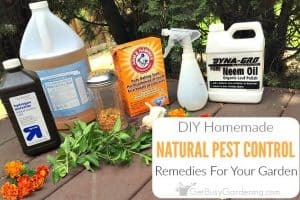 You probably won’t be able to avoid getting salt and chemicals on your plants all together, especially in gardens that are right next to a road or driveway. 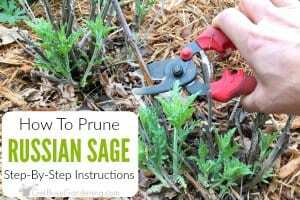 But it’s good to think about what you can do to minimize the amount of exposure your plants get, and do your best to prevent salt damage to your gardens. And, with the Troy-Bilt Vortex™ 3090 XP Snow Thrower, you can control exactly where all that salt-laced snow goes! 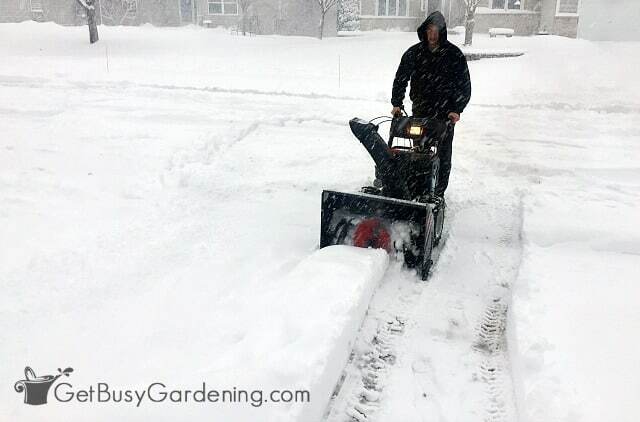 Share your garden-safe snow removal tips in the comments section below.